There are many valuable and powerful tools using ActiveRain Video, these are just some of my favorite that I wanted to share and let you know are available. Comparing these Video Hosting Sites these past few months has been challenging, only because there are so many. Each unique in it’s own way. I totally support ANY video platform that can help your business marketing and advertising. Here’s a recent post Video in Real Estate Is Viral! be sure to check that one out. 7 unique things about ActiveRain Video for existing users and others who might be interested. Everything is ALL online. This allows you access to your library of videos anytime and from any computer with internet access. No software is needed to upload, edit, produce and publish your video media. Adding Links in the body of a Video is so new and unique, most viewers don’t even know it’s there. We’re finding that many of us video users are having to add words like “CLICK HERE” or “MORE DETAILS” so people know that the video is inter-active. This IMO, is one of the best features. 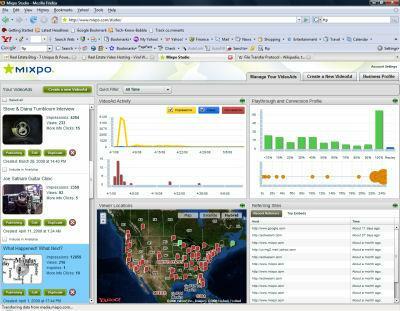 One click SEO. A single check in the box allows the search engines to crawl and index your videos. I have seen some of my video files I’ve posted show up at the top of Google in a matter of hours. Try it for yourself and test it, you’ll be blown away. 5. Single edit auto population. When editing video from your ActiveRain library, any updates, changes or modifications you make to videos, automatically updates ALL the internet locations you have that video embedded. This is another very unique tool, it will save you tons of editing and placement time, and time is money. 6. Create Templates. Templates allow you to simplify the creating and editing time. You can create master intro’s, endings, and custom ads all through-out. Then just remove previous video and drop in the new video, and you’re done in minutes, not hours. Just FYI – there is also a library with over 1150 images, videos, photos, and motion backgrounds. There are hundreds of background tracks and audio clips to use, all included online and at your fingertips. 7. 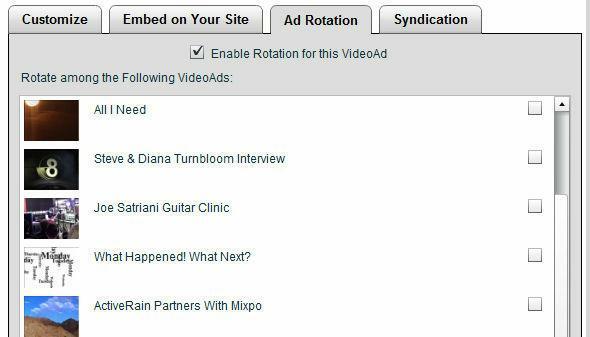 Video ad Rotation. 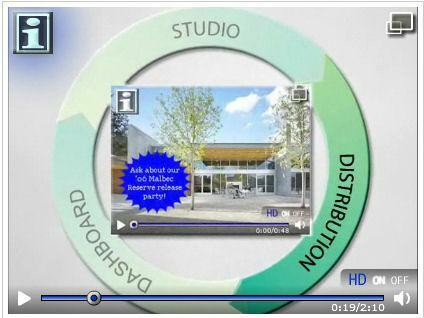 Let’s say you have 10 video listings in your library, and you want them to rotate on your Blog or Website. Mixpo lets you select which ones and then automatically rotates them each time the embedded player refreshes. I couldn’t find that type of feature anywhere else, though it may still exist. The purpose of this post is to try and help increase and heighten the awareness of Video in our Real Estate Community, and how it can impact your readers and your business. What’s available? What are the key features and benefits? How can it help? How do I do it? These help files, and the tutorials I have posted previously, are for those who have asked for them, or who are currently considering using Video. Having come from the Title and Escrow Industry, I know that often times I come across as though I’m trying to sell you something…sorry, go ahead and spank me for that bad habit now! LOL!~ We’re just making another tool available to members if they want or see the need for it in their business. Video for Real Estate is, and will become MORE prominant on the Web in a very short time. It’s already one of the Worlds most “Viral” components on the Internet. Coming soon …the ability to FTP or transfer your videos from Mixpo so that they can be used and posted in other local and Internet locations, like your server, your desktop, maybe youtube and some of the other video hosting sites like these. The future belongs to those who know how to leverage online technologies!